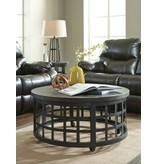 Item Description: Weave quite the conversation piece into your space with the Marimon round coffee table. A woven industrial basket crafted of metal is topped with distressed wood for a unique mixed media design. Rivet accents incorporate an industrial heritage element. Casters add to the form and function. 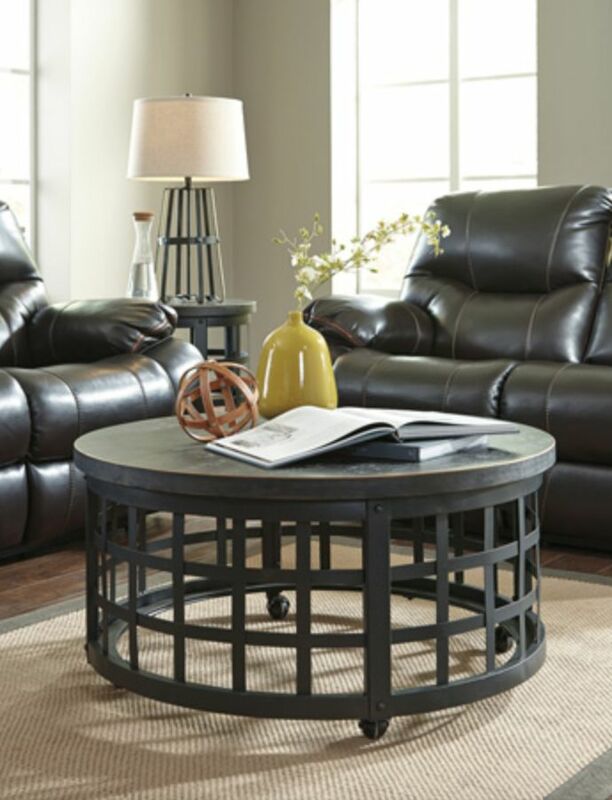 Series Features: Made of a durable, textured powder coated metal in a dark wrought iron color. 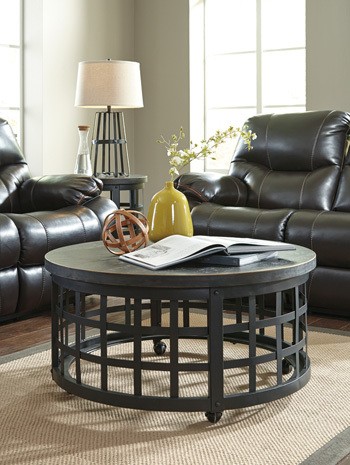 Tops are made of select birch veneers and finished in a vintage rub-through black finish. Design features a woven industrial basket look with wood tops. Bold rivet detail add a sense of an industrial heritage. Cocktail table has casters.